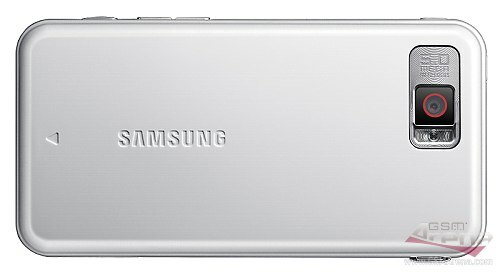 Samsung i900 Omnia gets a white back, you didn't hear us say iPhone! It seems like Samsung will offer a new color for the i900 Omnia. The 16GB version of the Windows Mobile powerhorse will have a white back panel as an option. The front panel of the Omnia will stay the same and the changes will only apply to the battery cover. By the end of this month the Samsung i900 Omnia will have a white dress to show off with - after all one of its greatest rivalries (you know who) is already selling with one. As it's evident, the changes go further than the color itself. The new Snow White Omnia back panel doesn't have the brushed metal finish but instead it comes with a wavy pattern that reminds of some of Nokia N-series devices. Currently this is the only photo that's available, but we bet we will be buried with them sometime this month. The new color will hit Singapore, there's no word for now on its wider-scale market availability. In the meantime you are welcome to jump to our Samsung Omnia review for a quick fix on why the Omnia will be one of the most popular devices this year. The black deff looks better. Can you say iPhone much? I just traded in my phone and got this white one from dechowireless.com they sold it for fairly more expensive than the black one, but they actually have it in stock!! Cant wait to get mine on Tuesday! ill keep you guys posted!